I take my birthday very seriously, after all it’s the one day that I can make all about me. As mine and Billy’s birthdays are very close to each other we usually go away somewhere to celebrate both, although I make it very clear that on my actual birthday that day is mine – the rest of the holiday is for both of us. So last year we headed to Budapest, for no reason other than we saw a really good deal on Voyage Privé. We arrived late on my birthday eve so headed straight for the hotel and then straight to bed. The Bo33 Hotel gave us a very warm welcome with drinks vouchers, a voucher for a meal in the hotel restaurant, a variety of maps and leaflets, and inviting us to book on to the private sightseeing tour that was included in our package. There was even a bottle of Hungarian ‘Champagne’ and a bottle of red wine was waiting for us in our lovely hotel room! Breakfast. A good birthday has to start with a good breakfast, and our hotel put on a fabulous spread! There was all the pastry, ham, cheese (we’re talking a full cheese board), fruit, salmon and hot breakfast you could eat plus a chocolate fountain!! 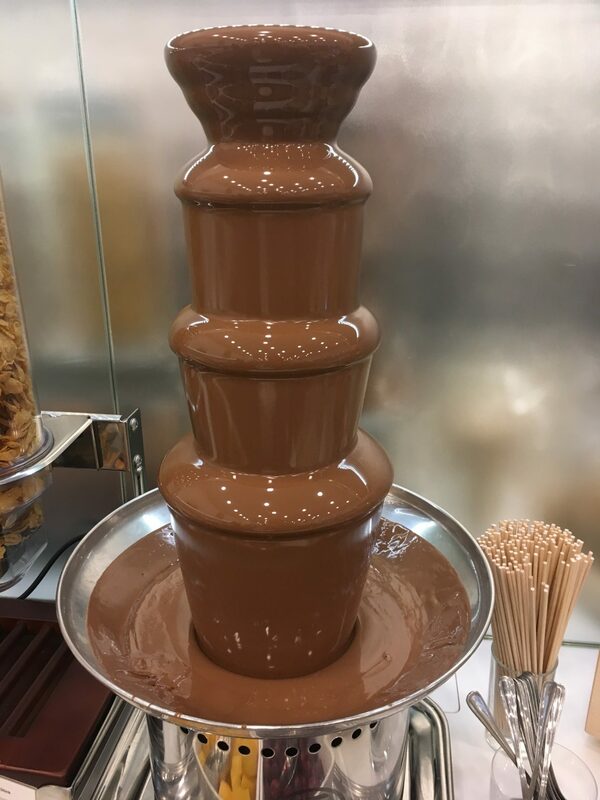 And yes, we dipped cheese in the chocolate fountain, and yes, it was delightful. To top it all off, you could help yourself to three types of Hungarian ‘Champagne’. As it was my birthday (incase you didn’t know), we allowed ourselves to get a little bit tipsy at 9am. A good wander. 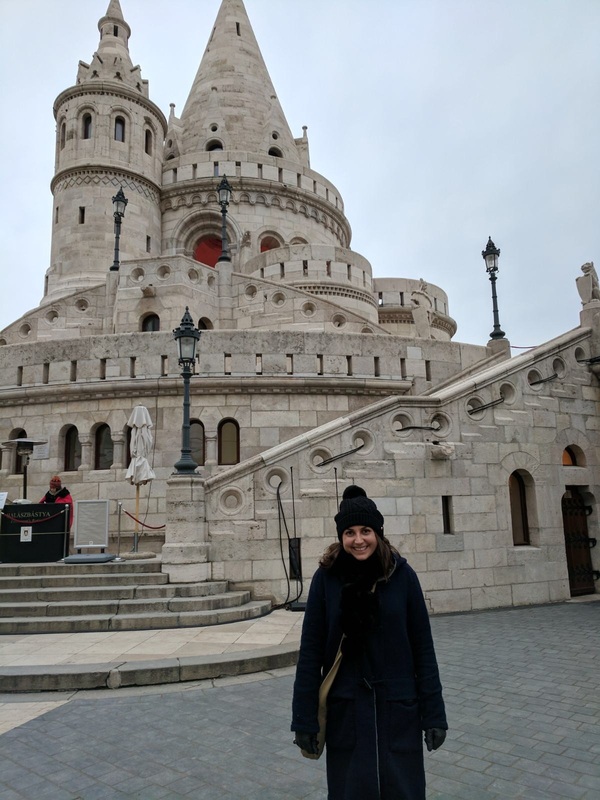 With full bellies we started our adventure by wandering in the general direction of the river Danube, heading through the Jewish Quarter, several markets and some beautiful buildings on the way. We crossed the river, leaving the Pest side of the city and entering the Buda side. The funicular and Castle district. I love a good funicular, so this was on our ‘must-do’ list and it didn’t disappoint. 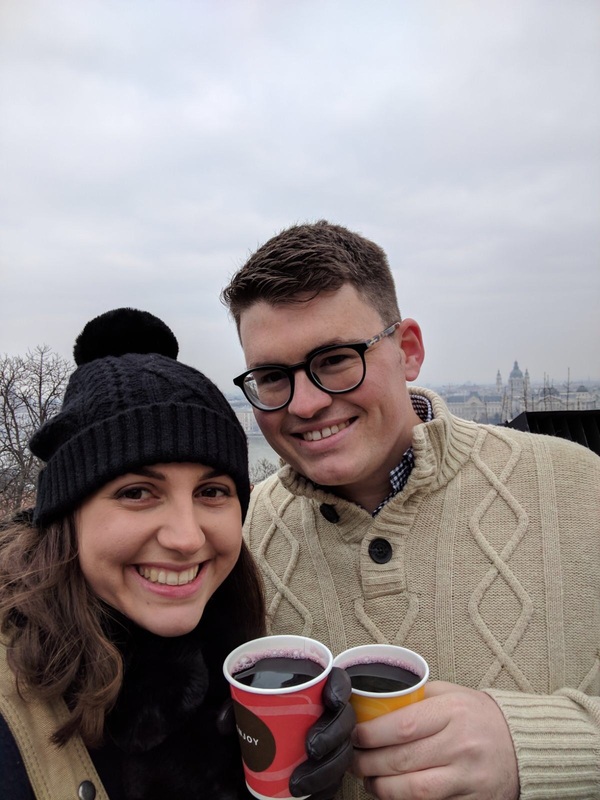 We reached the top of Castle Hill, purchased a cup of mulled wine from a street vendor and admired the view over the city. We briefly explored the castle, before continuing our adventure in no particular direction. The Labyrinth of Buda Castle. This was a totally unexpected find (I’d not even read about it), but we walked past the entrance and had no reason not to give it a go. Getting lost in here was great fun, even if it took a lot of persuading to get Billy to go into the pitch black tunnel. It was also educational, and we learnt that Dracula was imprisoned there by King Matthias Corvinus in the 15th Century. Lunch. Both of our phones had just run out of battery (exhausted last night we’d forgotten to charge them) so, rather than worrying about where we or where we should eat, we simply chose a restaurant based on the fact that it looked quite Hungarian through the window. The good luck from the horse balls must have kicked in because the restaurant was exactly what we were looking for and it was honestly one of the best lunches I’ve ever had. I had roast goose with braised red cabbage and the first bite made my knees tingle… it was so bloody good. After retracing our steps on Google Maps I’ve worked out that it was called Fekete Holló Vendéglő, definitely worth a visit! Fisherman’s Bastion. 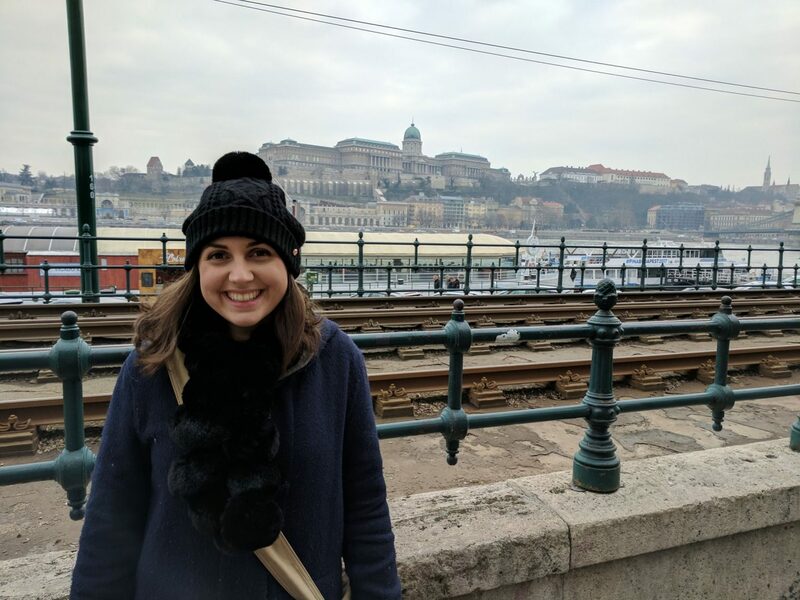 This is always written about as a must-visit attraction in Budapest, and for good reason! 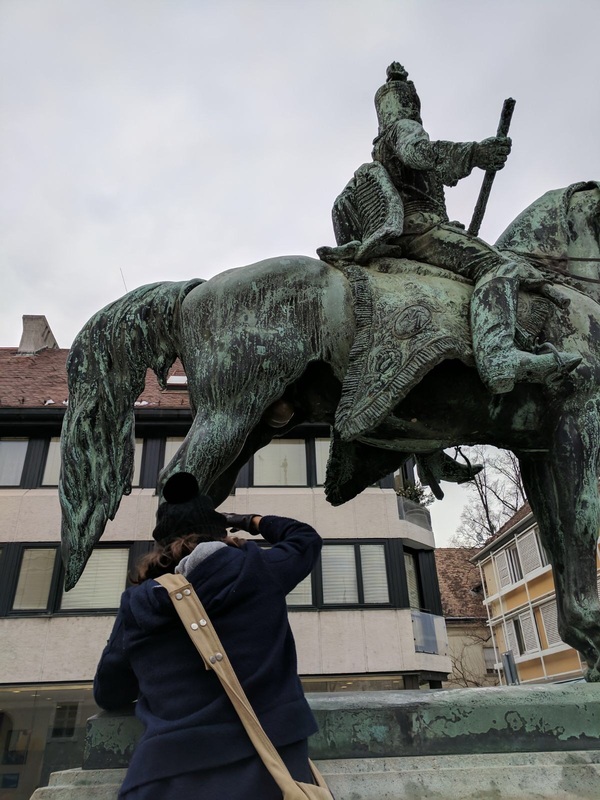 It’s absolutely beautiful and the views over the city are stunning, and with even more good horse ball luck we stumbled upon it straight after lunch. After managing to get my phone to turn on for long enough for a quick picture, we climbed the stairs to the bar at the top of the Bastion. 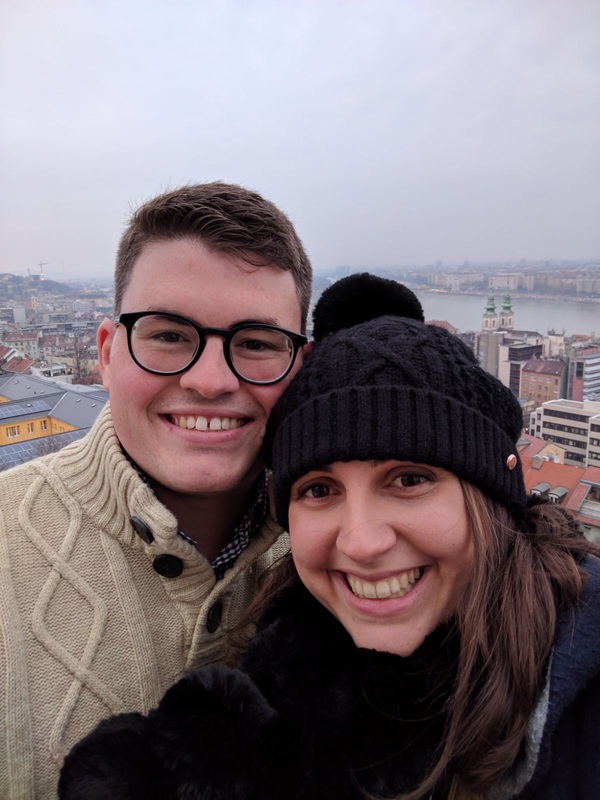 Already a little drunk from lunchtime, we took great pleasure in drinking a more couple of bottles of Hungarian wine, snuggling under blankets and watching the city change from day to night. I’m not usually the soppy type but it was outrageously romantic. Ruin Bars. 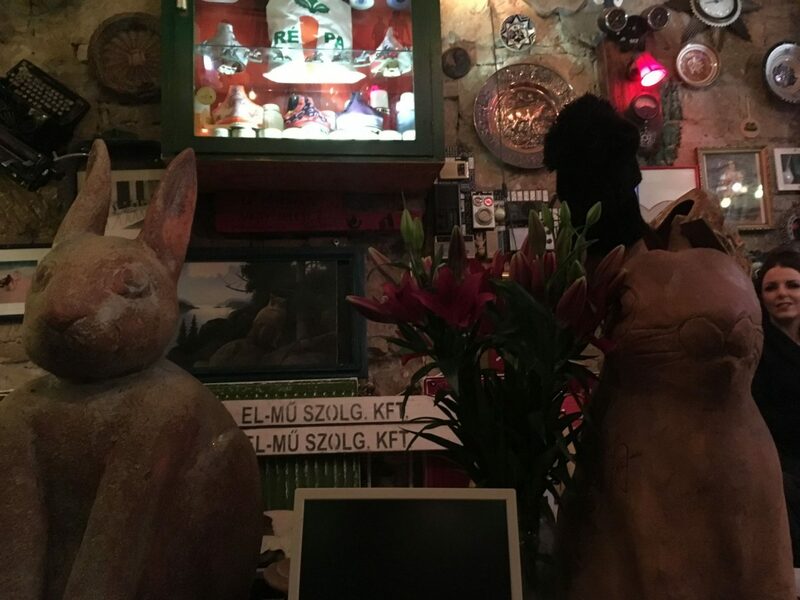 This is where my memory goes a little fuzzy, but somehow we made it back to Pest and by chance found one of the Budapest’s ruin bars… Szimpla. This place was CRAZY and I absolutely loved it! 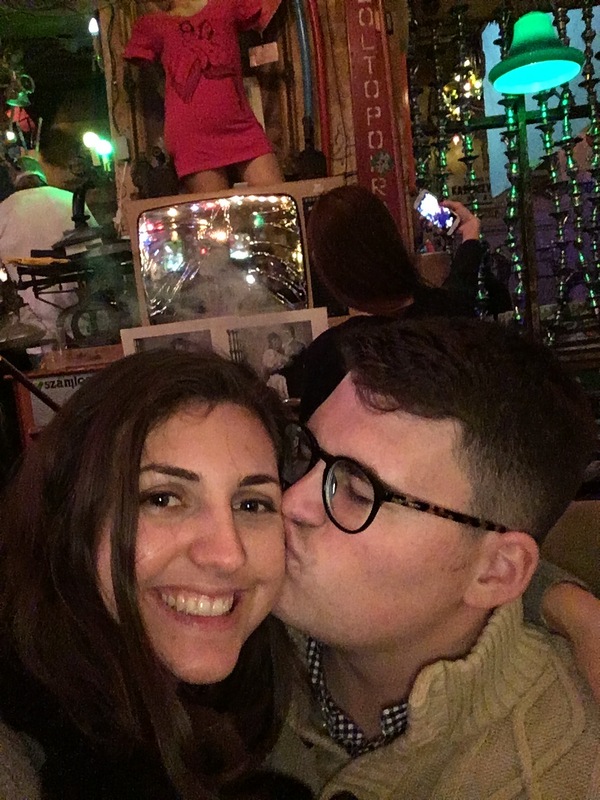 We were only going to stay for one drink before going for dinner, but several bottles of that Hungarian ‘Champagne’ and a shot of Unicum (disgusting Hungarian liqueur) later we were still going strong – oops! Tired and hungry but too drunk to sit down for dinner, we decided to head back to the hotel, which proved very difficult without Google Maps. Luckily a local eventually took pity on us and helped us find our way back to the hotel, where we took advantage of the vouchers for a meal in the hotel restaurant. And so was the end of a perfect birthday! Of course we had another couple of days in Budapest, but I’ll save that for another post. So over to you, have you been to Budapest and what did you get up to? I’ve heard very mixed experiences of this city so would love to hear what you thought!